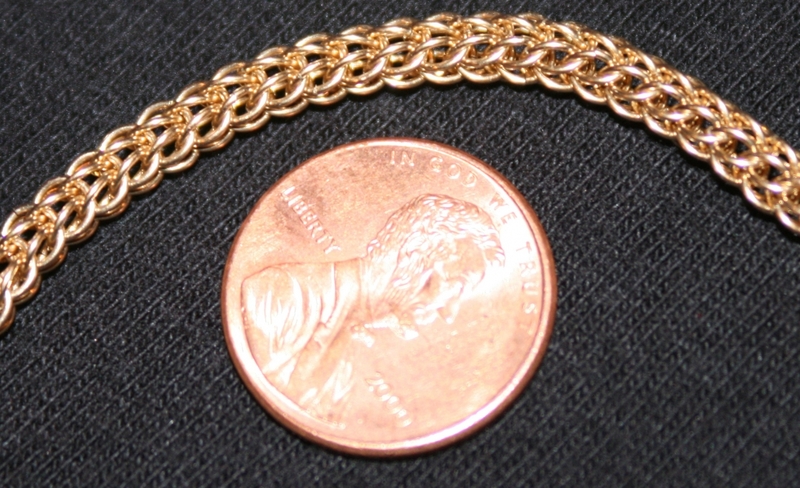 20 inch Full Persian 6-1 necklace for my wife for Christmas. I used appox. 1400 yellow gold fill, 24ga (24SWG) 7/64in rings. It took about 18 hours to make beginning to end. My wife loves it.